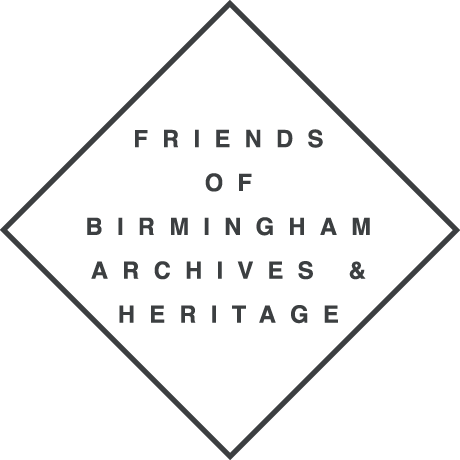 We are writing to you on behalf of the Friends of Birmingham Archives and Heritage in response to the proposed budget cuts to the Library of Birmingham. The contents of this letter are based on discussions with the Friends and on issues raised at a public meeting on Wednesday 7th January attended by over 200 people. It also draws on the comments made by over 3000 people who have signed the online petition against the library cuts. In general terms the proposed cuts to the Library as a whole would do severe reputational, economic and social damage to the city. The Library of Birmingham provides a service which is used by thousands of people on a daily basis. It is the most important space in the city for bringing together our diverse communities, fostering active citizenship, and supporting the aspirations and enterprise of current and future generations. Fundamental to its current success is the need for (a) opening hours in excess of the proposed 40 hours and (b) specialised staff to deliver key services. The proposed cuts are so great that they will prevent remaining staff from carrying out an effective basic service. As for the Library as a whole, it operates to serve a vast array of local, national and international users of all ages and a wide variety of social and educational backgrounds. In so doing it serves multiple agendas of the city council, way beyond that of a store of archives and photographs. It aids social mobility, social cohesion, individuals’ well-being, and fosters people’s confidence and pride in Birmingham. The current staff of Archives, Heritage and Photography represent one of the most dynamic departments of their kind in the world. They have been innovators in the way they have developed the service and generated significant income from external funding sources to the enhancement of the reputation of the Library and the city. The National Archives, distinct from any other national institution, must be formally consulted about the proposed changes as they relate to the care of public (ie government) records and public access. Further, the recent implementation of the so-called 20 year rule means that potentially more records are liable to be deposited under this to be made accessible under the terms of the act. The designated status of Birmingham’s archives collections, because of their national and international importance, will be threatened through their limited accessibility. In several cases the proposals may breach existing arrangements on access such as that relating to the cataloguing of Quaker archives. Relationships with significant previous funders, such as the Heritage Lottery Fund, who have requirements for the sustainability of projects they fund, will be compromised. The present public archives reading room, the Wolfson Centre, is open only a fraction of the current library opening hours. A proportionate cut in the archive’s opening hours and staff cuts of over 50% will mean that the ‘basic’ day-to-day service in delivering archives to users will be severely compromised. The service will be slow and unsustainable when staff are ill or on holiday. The answering of queries by email will become extremely difficult. Staff will not have time to write bids for external funding. Not only does the archive draw in world-class academics to use archival material, but it also fosters intergenerational and cross-cultural exchange. This kind of interaction is invaluable to a city that celebrates its diversity as well as its cultural innovation. Cuts to services as well as opening times threaten this unique connectivity. They also threaten to exclude those who use facilities outside traditional working hours – i.e. mature students, part-time students and independent researchers. The Freedom of Information Act requires the public to have access to a functioning archive service; limited access may prevent the archives service from responding when required to and many enquiries require specialist staff knowledge. Professionally-trained archivists develop skills and knowledge which relate to the unique holdings they manage. The loss of more than 50% of this irreplaceable workforce would leave the service vulnerable to complete collapse with complete loss of knowledge of its collections. Natural wastage and the increased likelihood of staff seeking alternative employment to escape unworkable conditions would make this a strong possibility. Existing archival and photographic collections belonging to private depositors are likely to be withdrawn; new collections will be lost altogether, effectively losing Birmingham’s history for future generations entirely. Anecdotal evidence suggests the latter is already happening. At a time when the Higher Education sector in Birmingham is the strongest it has ever been, its ability to compete in the global HE sector will be significantly diminished. The proposed cuts will damage the competitiveness of Birmingham’s universities, losing them income and reputation and reducing a future major source of skilled employees first drawn to the city as students. We recognise that the City Council is faced with difficult decisions in order to deliver its budget, but the proposed cuts are not strategic in terms of the city’s social and economic future. Birmingham was once described as the ‘best governed city in the world’ and its motto is still ‘Forward’. We acknowledge that its reputation has been damaged recently, but we ask you to be bold and make decisions which will restore our pride in our city. Given the forthcoming retirement of the current highly regarded Head of Library Services that the Council take a strategic decision to secure the appointment of an individual with a national reputation and the experience to lead the Library through a period of change rather than make a short term appointment. Professor Ian Grosvenor (Chair), Alison Laitner (Secretary), Sue Tungate (Treasurer) Don Abbott, Dr Chris Callow, Dr Nicola Gauld, David Greengrass, Carly Hegenbarth, Oli McCall, Saima Nasar Celia Potts, Dr Chris Upton (Committee Members).